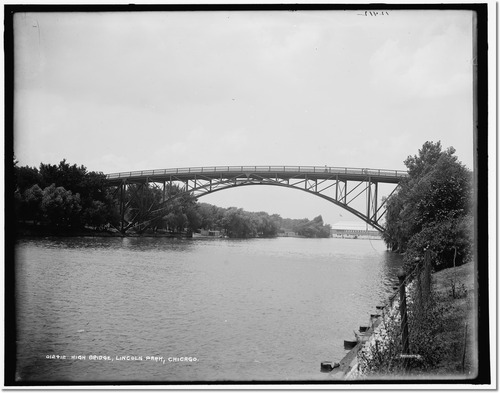 The bridge spanned the lagoon, and was 42 feet above the water. It was intended as a sight-seeing bridge, but quickly garnered another purpose. Not all of the nearly 100 suicides were from jumping -- people also went there to take poison, or even hang themselves. The nickname was made popular by a set of postcards of the bridge shortly before it was torn down. Many more interesting facts about the bridge at mysteriouschicagoblog.com.